Only last year we completed our 15 years and had a great foundation day event, the details of which we shared earlier here. As we planned to celebrate our 16th year of inception, this time, we thought of doing it differently. 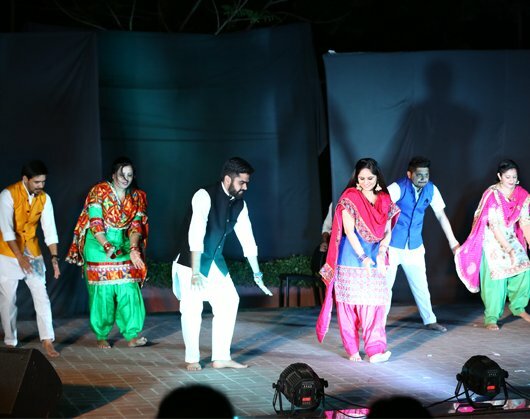 While we had cultural performances including dances, singing, enacting and others this year too, the event had a new and added flavor. 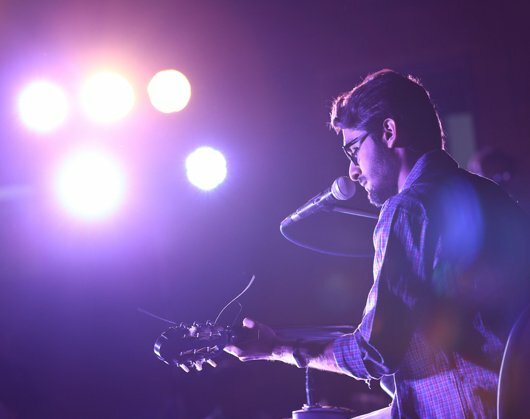 Not only did we see interdepartmental participations but we also saw the freshers volunteering for solo performances. After ending an action-packed work day, an average employee feels like dismissing every task that would require energy and physical efforts. Investing time and energy in dancing, enacting or even planning for any event (not related to work) would be the last thing on his or her mind. This is where the employees of Net Solutions defy the common practice and perceptions. 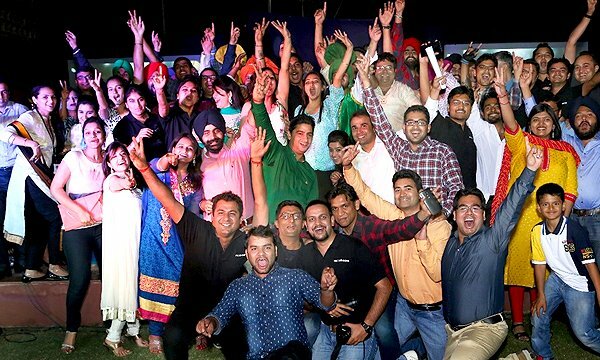 The persevering spirit of making the celebrations a success with high-voltage performances ran through the souls of the employees here—as they geared up for the preparations of the 16th Foundation Day (at Net Solutions). 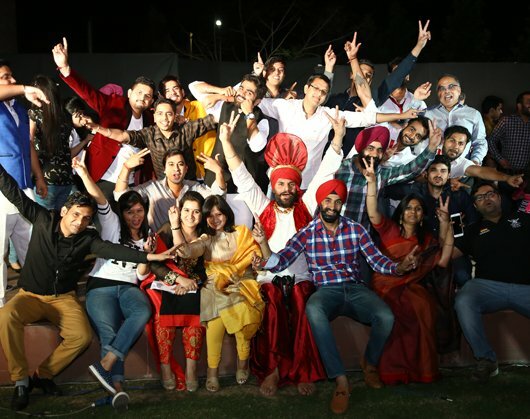 Imagine a native of Uttar Pradesh, who had seen bhangra only on TV and joined Net Solutions just a few months ago, forming a dance group and learning the typical bhangra steps within 10 days prior to the event. She is a Tech Lead in PHP and brought volunteers from different technologies together within no time. Courtesy, the transition of the true spirit of Net Solutions’ in her. The situation was no different for a Project Manager working on .Net technology here. A Himachal Pradesh native, who never studied or communicated in Punjabi, and was confined to his technology talks earlier, went on to spend several after-office hours in rehearsing some basic Punjabi dialogues. 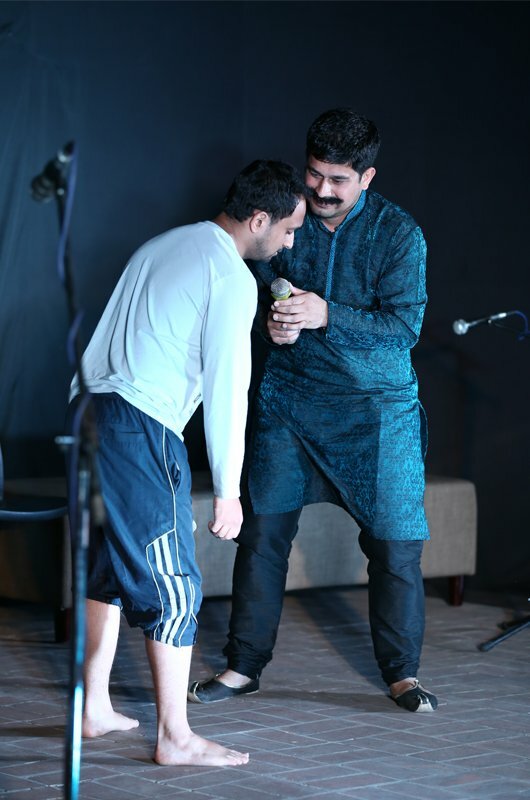 He was part of a Punjabi skit that stole hearts away. The enthusiasm did not end here. 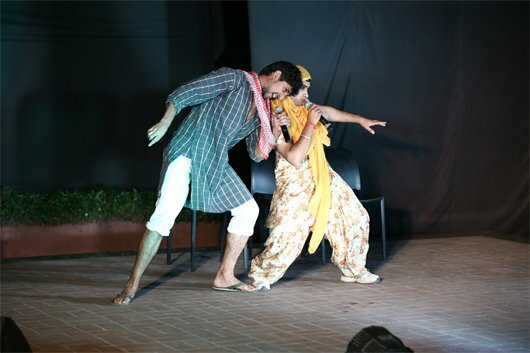 A front-End Developer portrayed the role of a fictitious character of an uneducated rustic woman who gets introduced to IT –pouring in tons of humour that led the audience laugh their hearts out. The passion to learn and present a skill beyond just work drove all of these volunteers through. The whole month of March remained abuzz with the preparations. A busy and tiring work day was no deterrent for the participants. The hardships and challenges for the participants were not confined to just taking out time for rehearsals. “Since each of the participants in our dance was from a different project, we never had matching deadlines or work schedules. So we faced a lot of difficulty in meeting Also, our choreographer would often visit us in the afternoon. So, on a couple of occasions we skipped lunch for utilizing the hours in rehearsals,” said one of the participants in a group dance. “Throughout the preparation days we looked forward to the rehearsals. Ever since the Founder Day’s ended, we all feel a void. 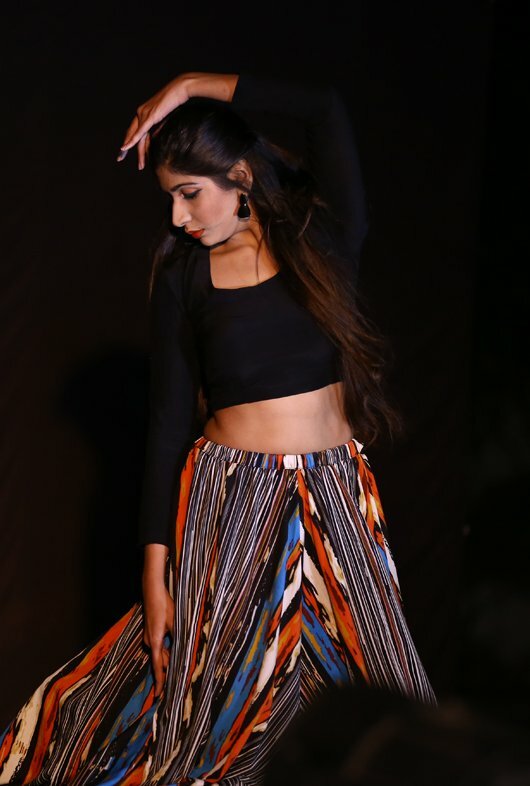 In fact, two days after the event we all gathered for 10 minutes after work and danced again,” said participants in another group dance. 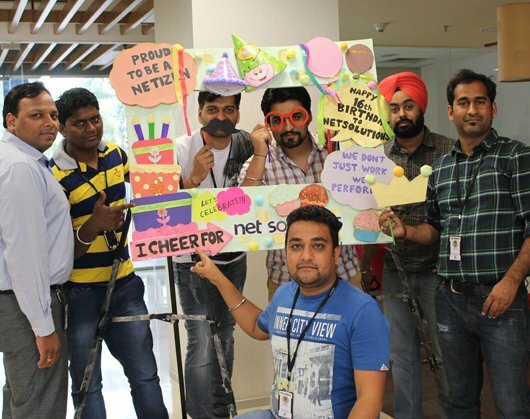 There was immense excitement in the employees for getting themselves photographed on a photoboard that stated how proud we are as employees of Net Solutions. On the day of the event, the Netizens painted the town red by engaging the viewers. The celebrations ended with random grooves and moves of the employees and their family members. They cheered, danced and celebrated their workplace. 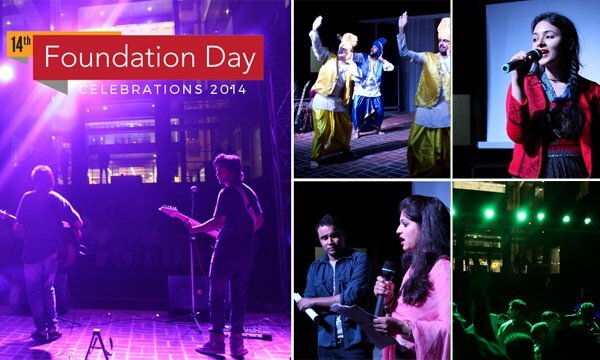 Overall, the 16th Foundation Day was great fun exactly like our people. It leaves us with lot of memories to cherish for a long time. Kudos to our great team never say die spirit! Ritu Tandon heads the HR function at Net Solutions. She has a total experience of about 17 years in HR. Net Solutions is a perfect place where you can work while enjoying or where you can enjoy while doing work. MVP vs SLC — The Winner May Surprise You! 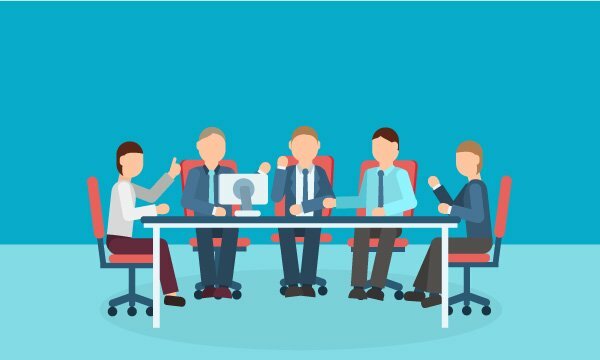 Need help with your next big idea? © 2019 Net Solutions. All Rights Reserved. 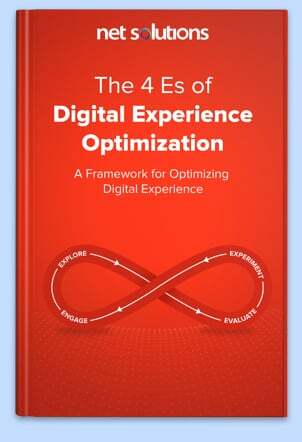 Stay updated on the most effective technologies and trends that will shape up tomorrow's digital experiences.